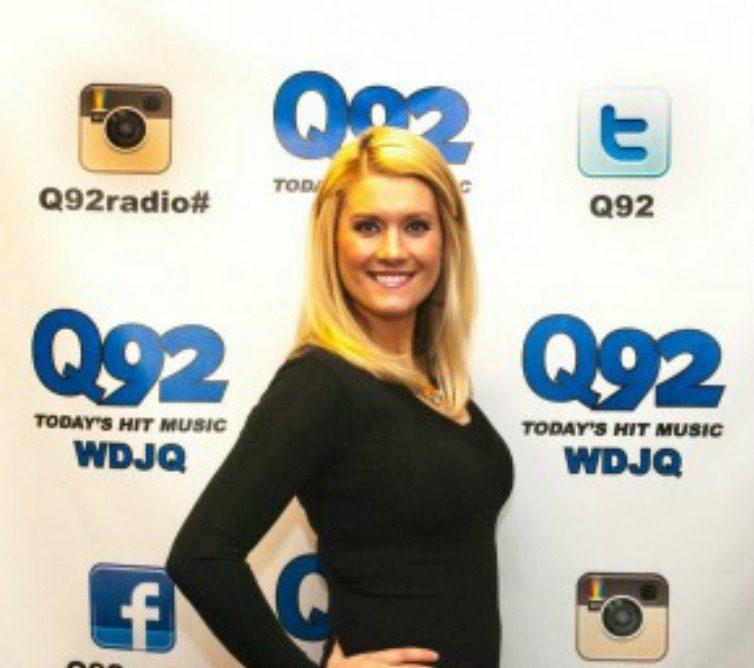 Weekdays 5:30 a.m. – 10:00 a.m.
Hey, I’m Megan McCrea from Megan & Christian in the Morning on Q92. I started at Q92 in March of 2013 but I have been in Broadcasting for over 14 years. It all started in San Antonio, Texas where I was an animal trainer at Shamu Stadium. That’s where my love for performing all began. As much as I loved working with the animals and doing live shows every day another job opportunity came my way. I moved to Detroit Michigan where I signed on with The Detroit Pistons and IMG. While I was with the Pistons I also worked for NBC doing the morning traffic, hosted Real Weddings from The Knot which aired on The Oxygen Network, voiced a Ford commercial that aired during the Super Bowl, hosted a Holiday on Ice Special that aired on NBC and also hosted The Miss Teen Michigan USA Pageant. 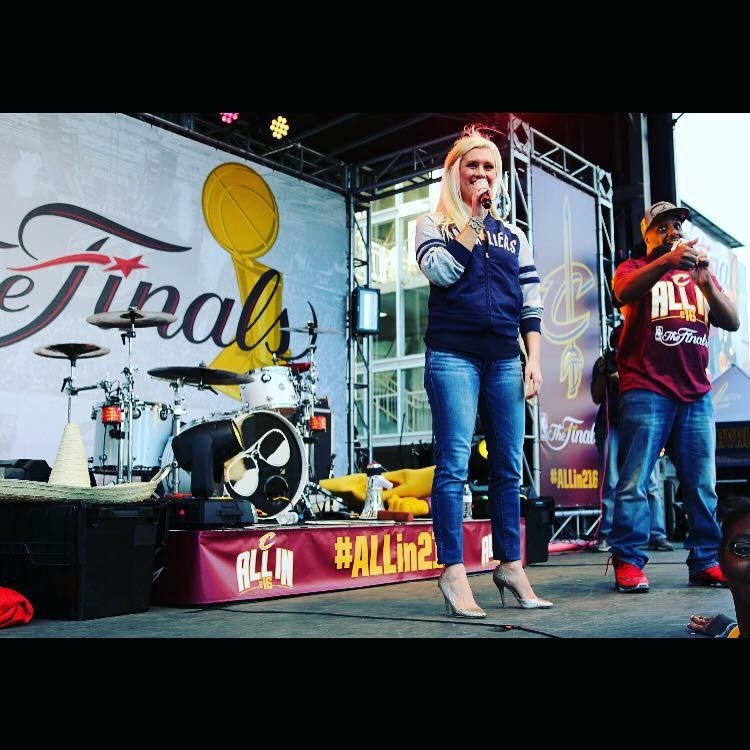 As much as I loved Detroit “Home is where your heart is” and I moved back to Ohio when my contract was up in 2010.I am currently a co-host on Q92’s Moring Show. 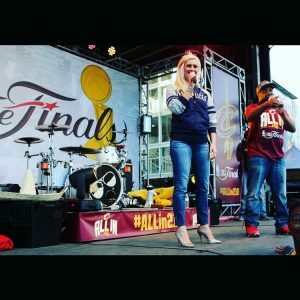 The Cleveland Cavaliers In Game Host and Cavalier Fan Fest Host, the Canton Charge on court host which is The Cavaliers D league team, and I host The Pro Football Hall of Fame Fan Fest Events. I am so proud and blessed to work where I am from. Most importantly I’m a mother of two and my family is my entire life. FAVE BEAUTY PRODUCTS: MAC Zoom lash Mascara, Dove Bodywash, Lip Smackers Lip Gloss (any flavor) and Shallac gel nail polish!!! All Amazing!! Q92 It was a lot of fun talking to the Sole Men, this morning!!! Canton Film Fest Thank you to James Waters and Andrew Rudd for coming in, this morning to talk about the CantonFilm.com. Click below for all the info. Q92 Seriously, is it just me? Megan & Christian in the Morning on Q92 shared a post. Photos from Megan & Christian in the Morning on Q92's post How have these pictures inspired Christian Bigglesworth? How is the National Beauty College in Canton going to help? Find out tomorrow morning! This morning, Defense Attorney, Max Hiltner will be in studio with Christian Bigglesworth answering your questions!!! Don't miss it!! You need to be listening to Q92 so you can become a finalist for a chance to win a trip to Miami to see the rolling loud Music Festival!!! Taco Truck A fun way to start your Monday morning. How they convinced Odell to come to Cleveland. Now here is a meme that Christian Bigglesworth can't definitely get behind! Q92 Here is the video we were talking about. is Drew busted? You decide!! Tomorrow morning in the 7AM hour, Defense Attorney, Max Hiltner will be in studio answering your phone calls and questions! Litest Videos Is this real or not? Can anyone Verify? "DARE" (Live) - The Cybertronic Spree Is anyone else as excited as Christian Bigglesworth is to see this band in Cleveland? BuzzFeed When Christian Bigglesworth takes a girls to dinner and she takes food off his plate..
Ja Rule Puts On CRINGIEST Halftime Performance At Bucks Game Here is the video of Ja Rule at halftime of the Bucks game over the weekend. Lady Gaga - Bradley Cooper - Oscar Shallow 2019 Behold the performance that proves Christian Bigglesworth is right and these 2 are in love and "Lady Coop" will be a real thing!!! Touchdowns and Tutus Coming up this morning!!!!! Katy Perry Here is the Katy Perry Clip Megan McCrea and Christian Bigglesworth were talking about, this morning. Ok thoughts on @Beyonce ?? ?